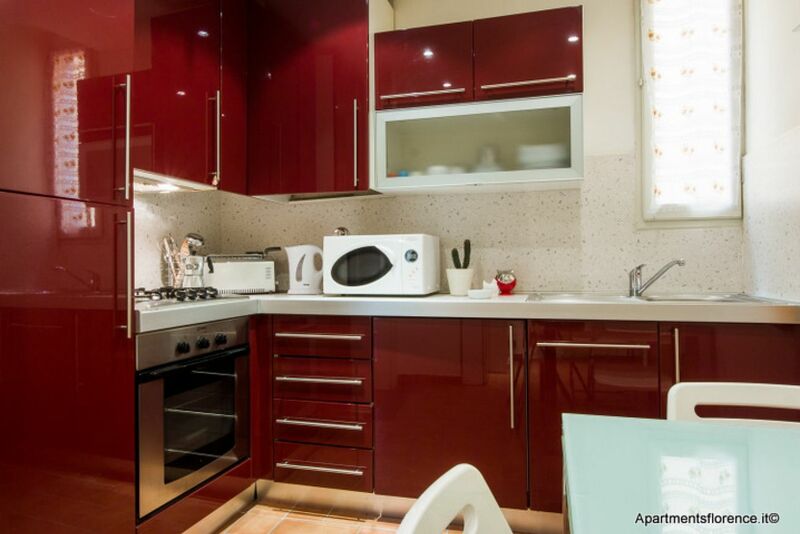 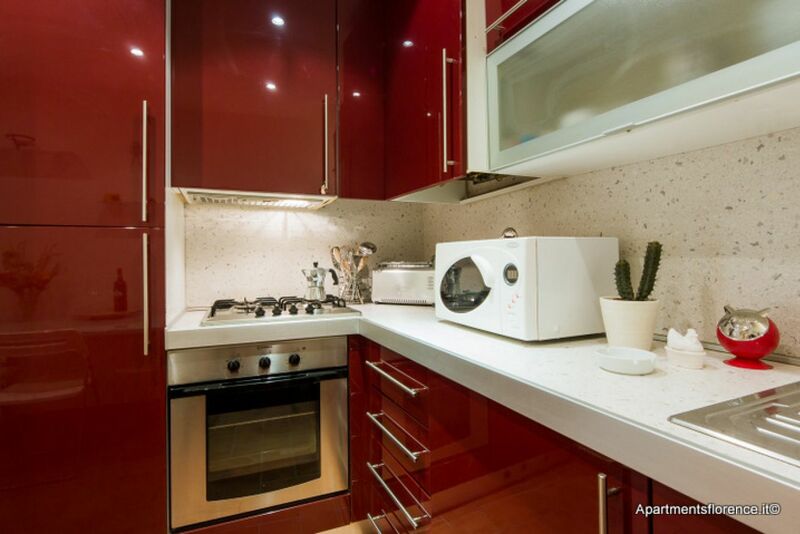 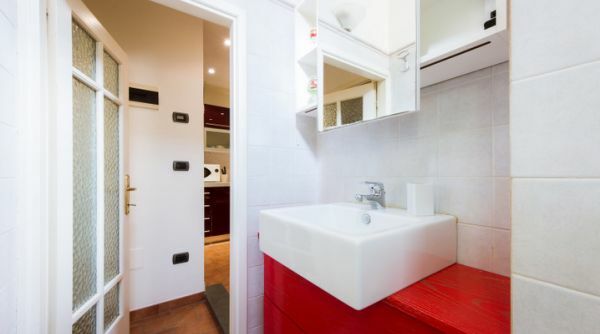 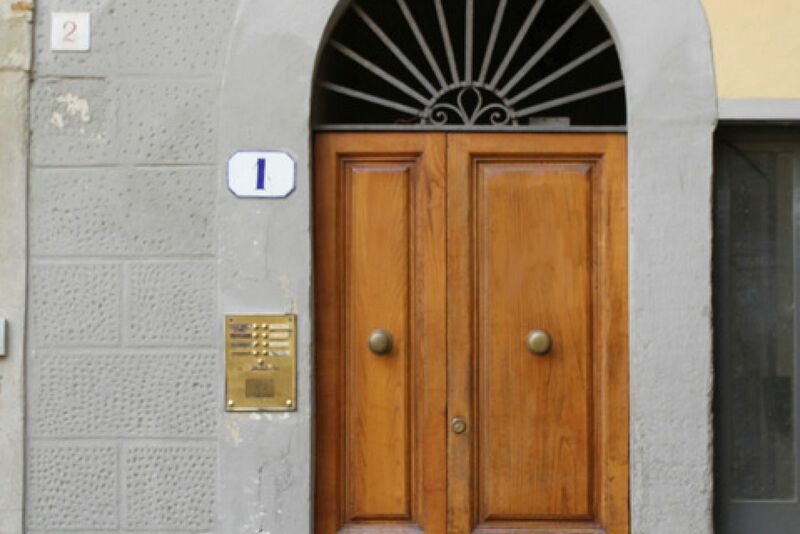 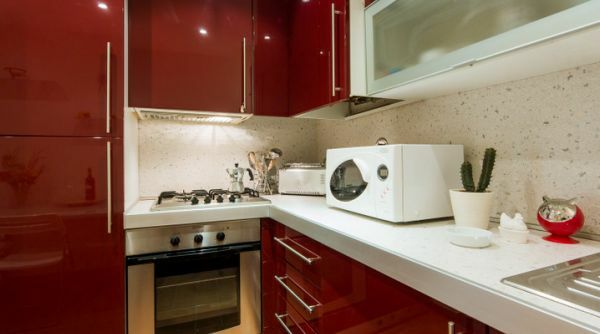 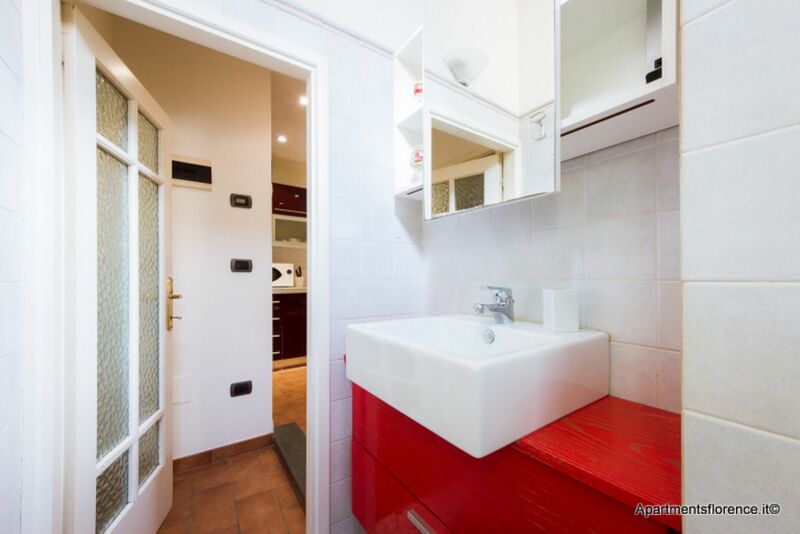 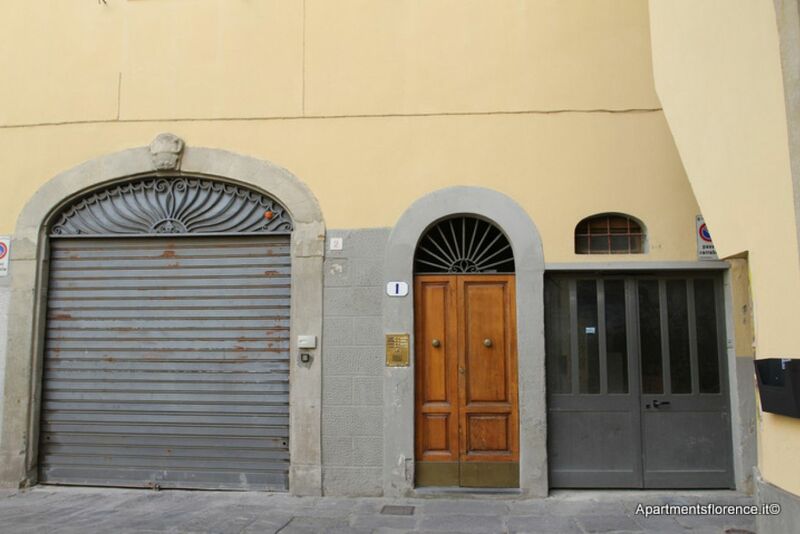 Apartment for rent in Florence in the heart of Santa Croce. 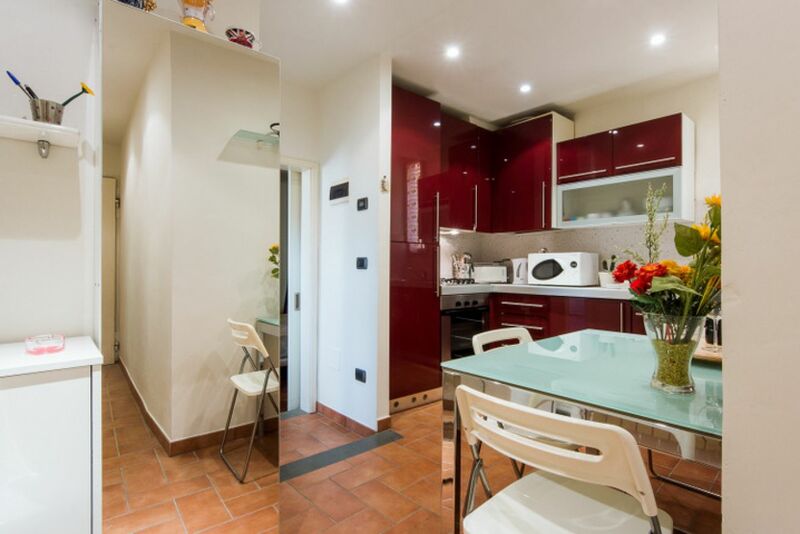 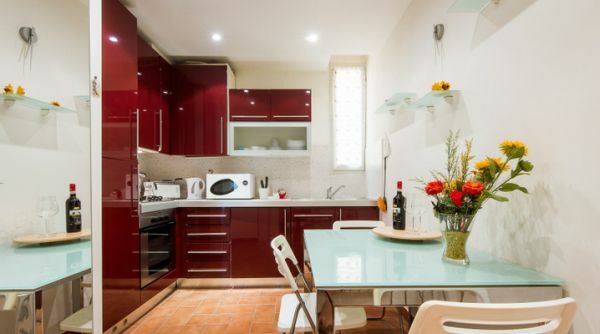 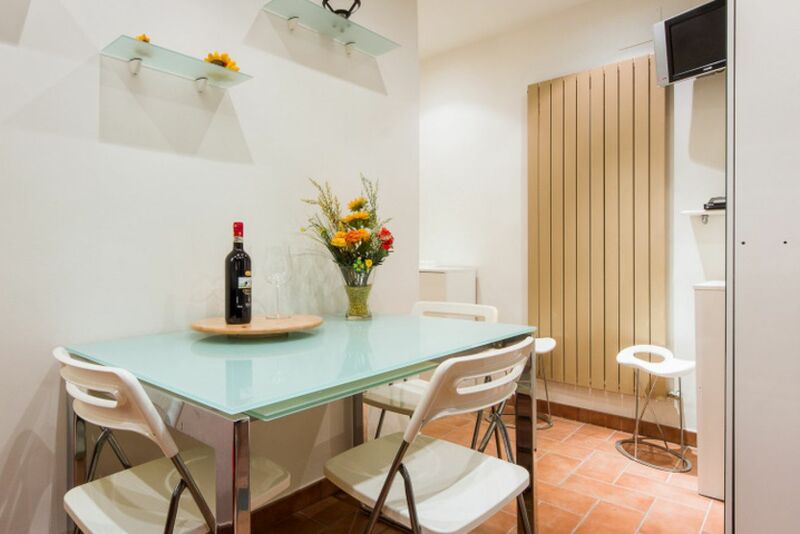 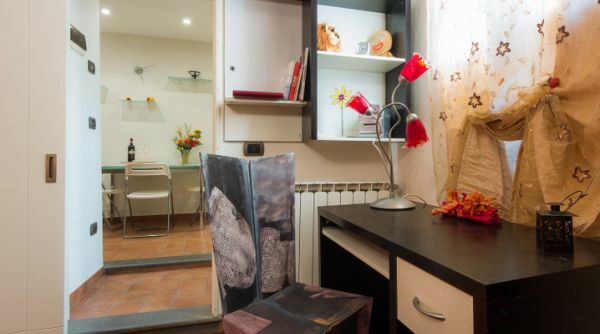 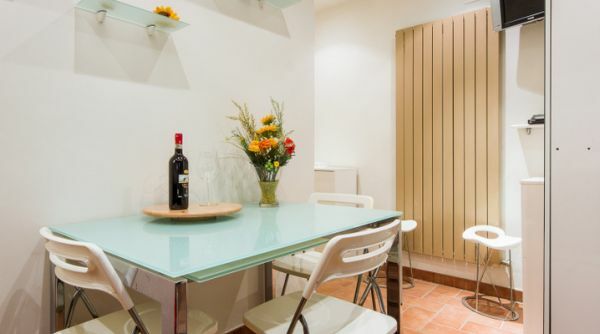 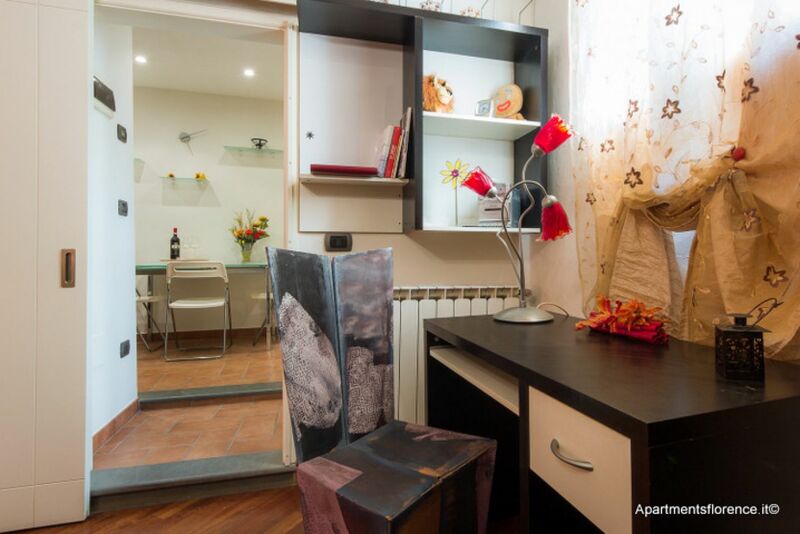 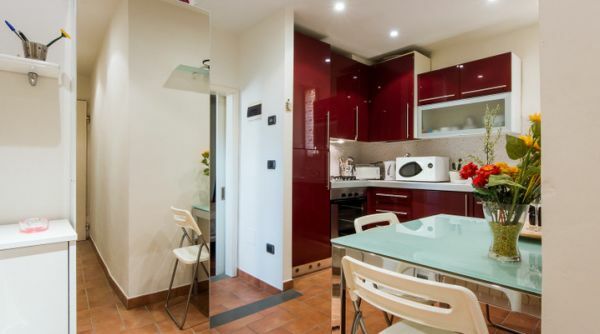 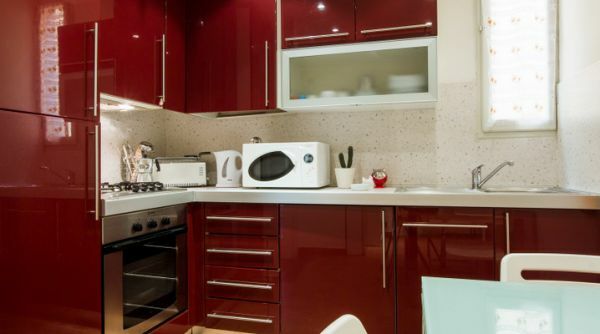 This cozy apartment is the ideal choice for a couple looking for a snug and comfortable place to stay while spending their holiday in Florence. 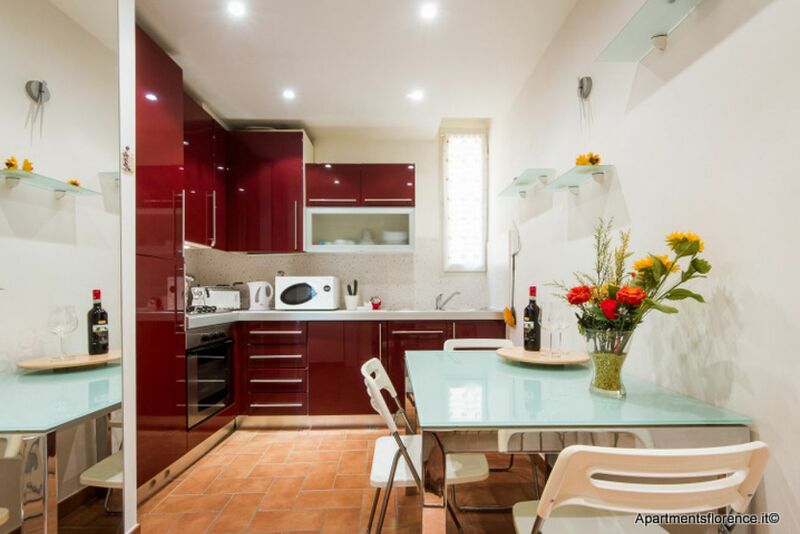 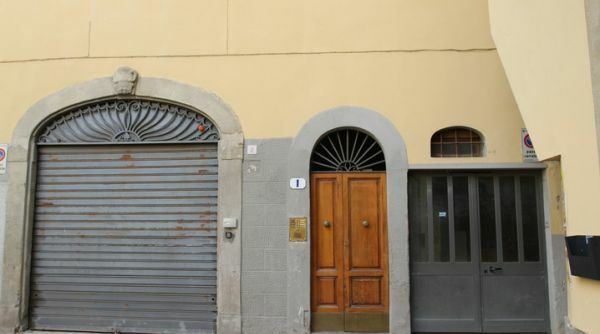 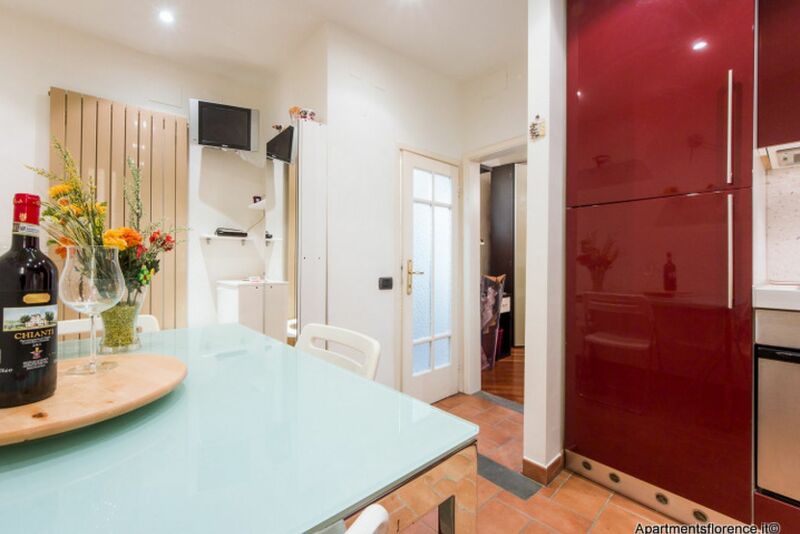 This lovely recently renovated apartment is nested in the Santa Croce area, in a charming small Piazza two minutes away from Piazza Santa Croce and five minutes from Palazzo Vecchio and the Duomo. 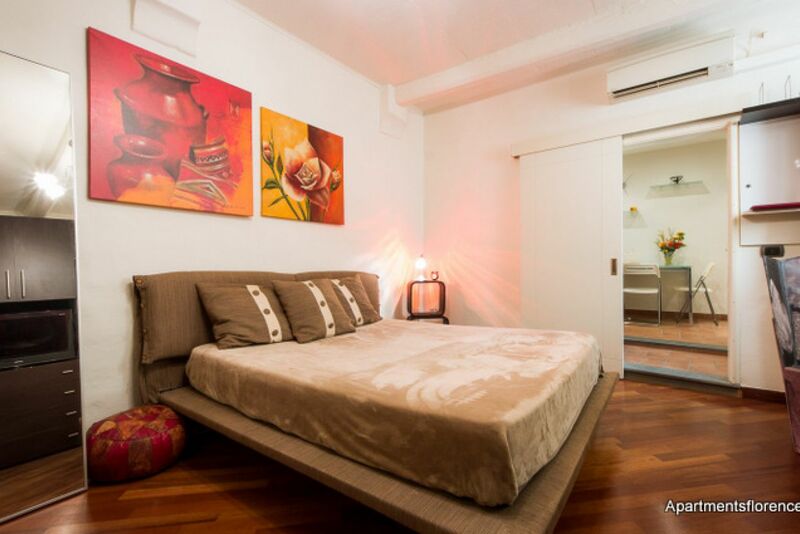 The whole place has been newly redone and decorated with modern taste and attention to comforts and details. 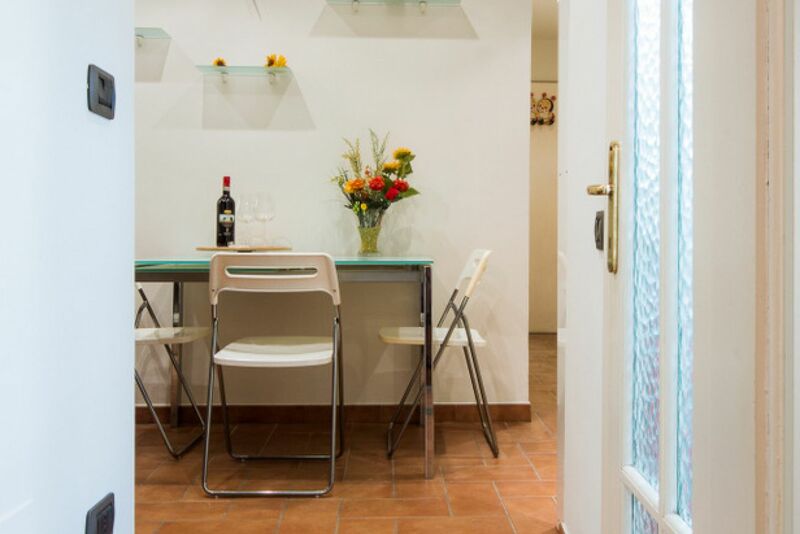 A very rustic, warm and welcoming feel really permeates all the apartment, thanks to the wonderful terracotta and wooden floors and to tons of natural light coming from the windows. 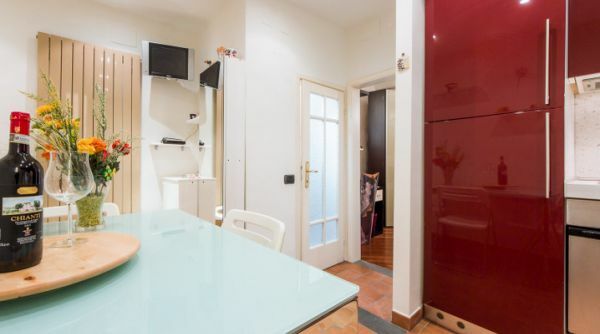 The entrance opens onto the charming living area, consisting of a very bright and modern kitchen, fully equipped with anything you may need to cook your own Italian meals while in vacation, dining table and flat screen Tv. 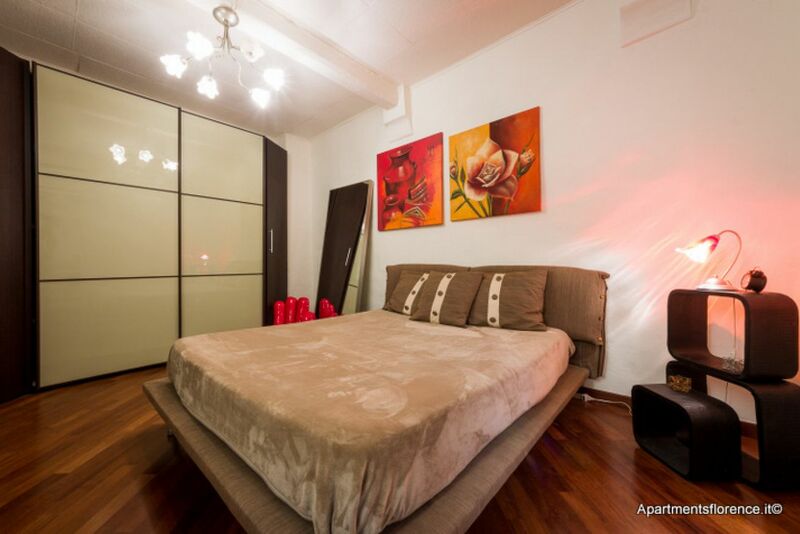 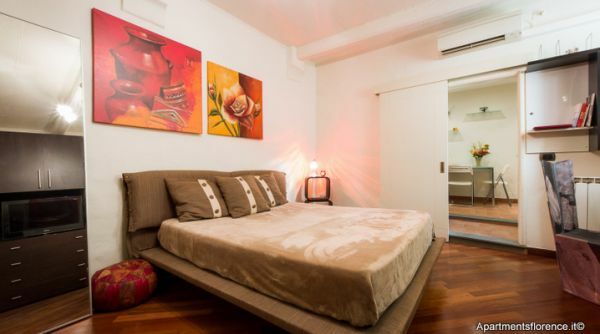 The spacious and bright bedroom has a very airy and cozy feel, thanks to the warm parquet floors and the large window allowing the whole room to be enlightened with natural light. 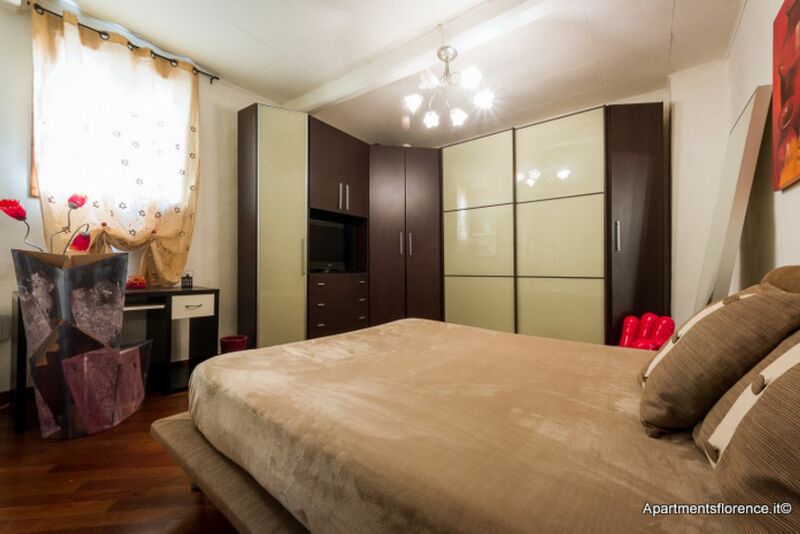 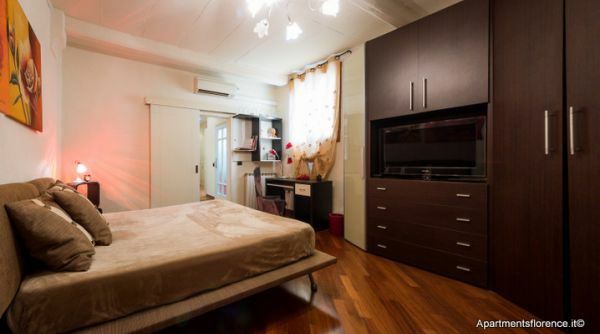 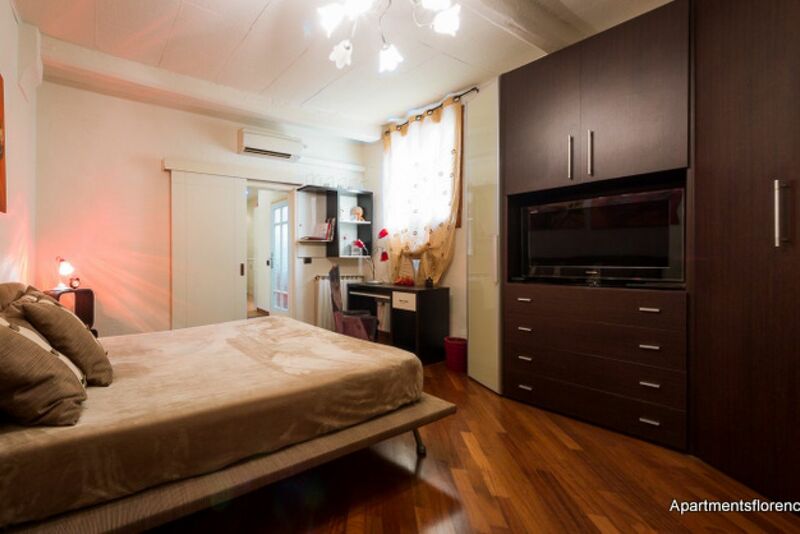 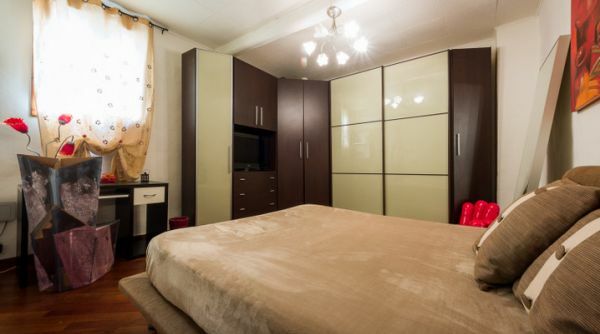 The bedroom features a comfortable queen size bed, a large closet, flat screen Tv and a desk. 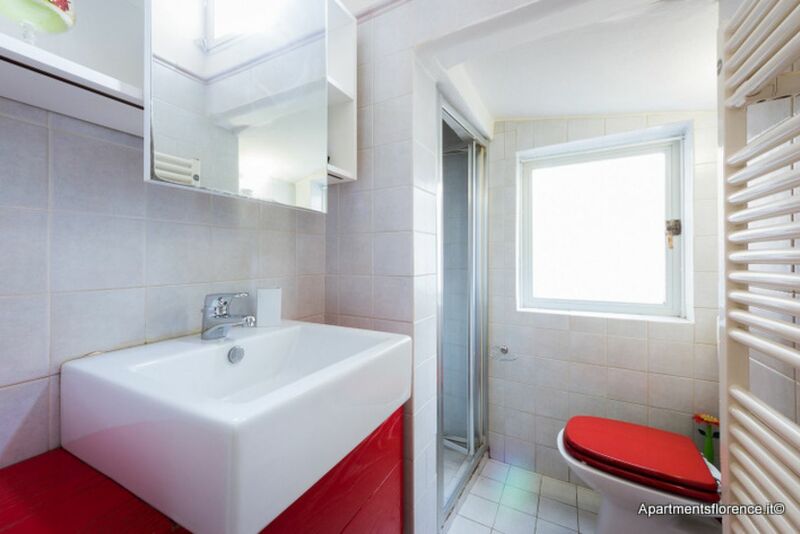 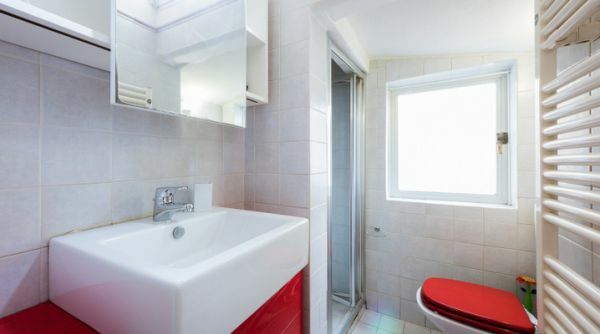 Also, the bedroom has a wonderful en suite bathroom, featuring a walk in shower. 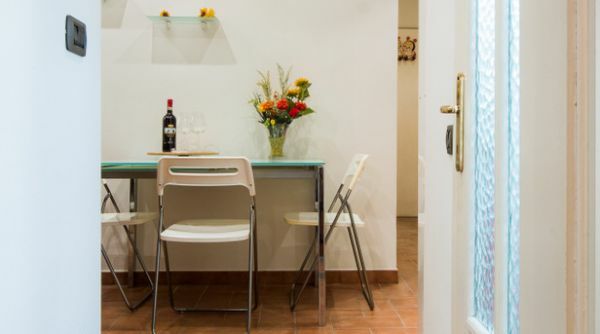 This cozy apartment is the ideal choice for a couple looking for a snug and comfortable place to stay while spending their holiday in Florence. 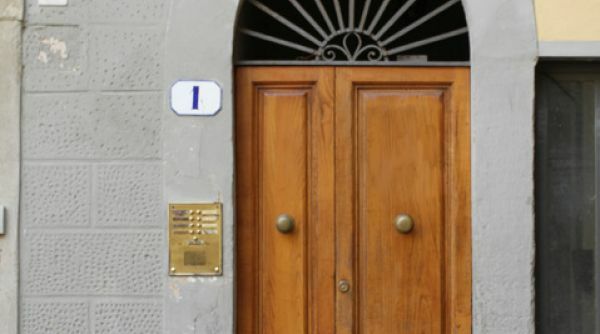 This apartment's exceptional location makes it the ideal starting point to explore all the different areas and beauties of the city, while staying in a peaceful and quiet street only a few minutes away from Florence's historical and artistic landmarks, in an area filled with restaurants, farmers' markets, cafès, workshops, great gelato places, and local shops.